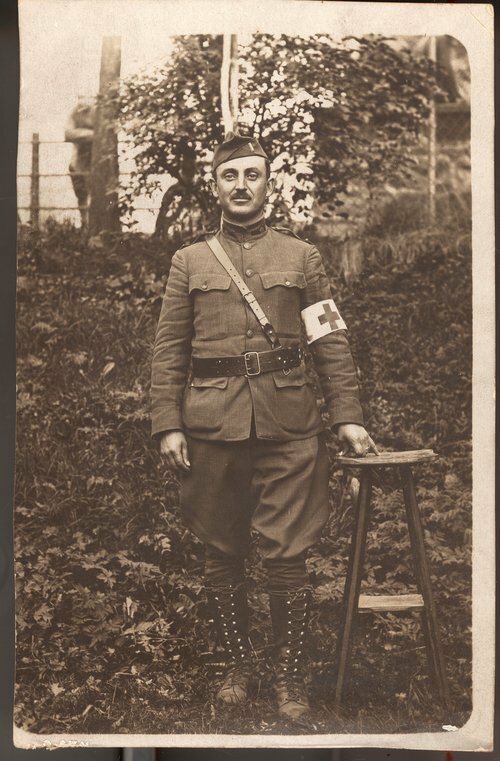 A photograph of Louis Mosley taken in France during World War I. He served as a doctor at Base Hospital 91 and was assigned to the 35th Division. Mosley was born in Missouri, later moved to Kansas, and eventually retired in Ft. Scott.